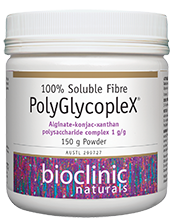 Receive a FREE PolyGlycopleX® 150 g Granules* when you successfully complete the PolyGlycopleX® education module listed under 'eLearning'. *Offer applies to health care practitioners operating within a clinic setting. Evidence-based, peer-reviewed information collected from over 700 medical and complementary medicine journals, summarised into clear concise monographs. The first of its kind in Australia, the interactions database is brought to you in partnership with the University of Sydney, Faculty of Pharmacy. Search for product images, ingredients and descriptions for over 40 popular brands. Simply enter the product type or name, or browse by brand. Complete condition or product based education reviewed by an expert editorial committee for relevance, quality and accuracy. Stress-related disorders are linked to heightened risk of cardiovascular conditions, especially in the first year of diagnosis. Probiotic supplementation in women with diet-controlled gestational diabetes significantly improved glycemic control, new study indicates. Early life adversity-induced disruptions in intestinal microbiota are linked to changes in brain function, researchers found. High fructose corn syrup fuels colorectal cancer in mice, new research confirms. The mechanism of action has also been revealed. A new class of oral cholesterol-lowering drug may help patients unable to take statins, research highlights. Recent updates to the Interactions Database The Interactions Database continues to expand, now including over 1000 interactions. ANTA and UnityHealth look forward to working closely together to continue to bring practitioners the latest information and up to date resources. IMgateway was recommended to us as the most useful and practical website to general practitioners by Professor Marc Cohen.